At airports, the usable space is limited to a few areas: runways, terminals and storage facilities. Much of the rest of the land is left fallow, requiring maintenance from airport operators (mowing the grass, keeping wildlife from interfering with planes, etc). But what if that land could be used to generate energy? 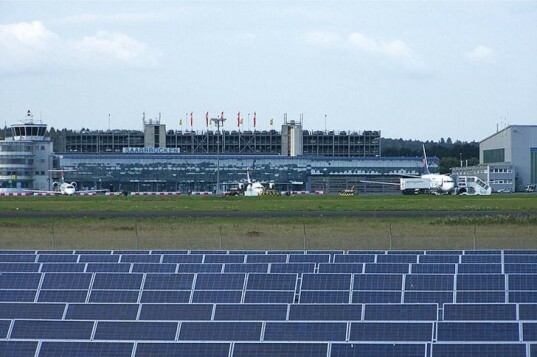 US Department of Agriculture researchers have been exploring alternative uses for unused airport land with the goal of reducing wildlife hazards, and in a new study they’ve shown that much of this land could be converted for solar, wind or biofuel production. At airports, the usable space is limited to a few areas: runways, terminals and storage facilities. Much of the rest of the land is left fallow, requiring maintenance from airport operators (mowing the grass, keeping wildlife from interfering with planes, etc). But what if that land could be used to generate energy? 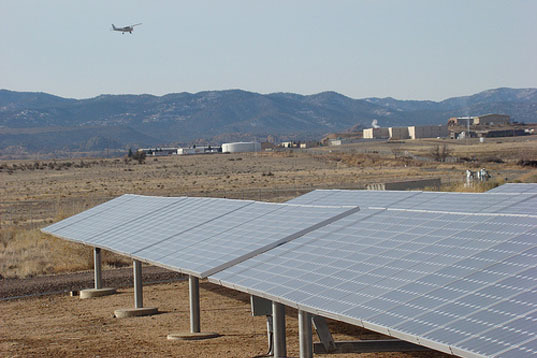 US Department of Agriculture researchers have been exploring alternative uses for unused airport land with the goal of reducing wildlife hazards, and in a new study they've shown that much of this land could be converted for solar, wind or biofuel production.